Neeson added gravitas and a sense of authority that very few actors would have added to the role as Qui-Gon Jinn. The Anakin is “the chosen one” disagreement between Yoda and Qui-Gon would never have worked or been believed if an actor with less clout and credibility had been cast. Who else would we believe could stand up the to Jedi council? Moreover, I honestly think that without the strength of Liam Neeson, the movie would have fallen apart under its own weight (both expectation- and plot-wise). I am thrilled that, after portraying Qui-Gon, Mr. Neeson has been able to build a VERY successful action movie career using that authority/action combination. He has been in LOTS of thrillers and action movies since. Though, I have to say that personally, I am not a big fan of most of them (Christopher Nolan’s Batman Trilogy of course is brilliant), but that is a matter of taste in movies, not a criticism on his incredible acting abilities. 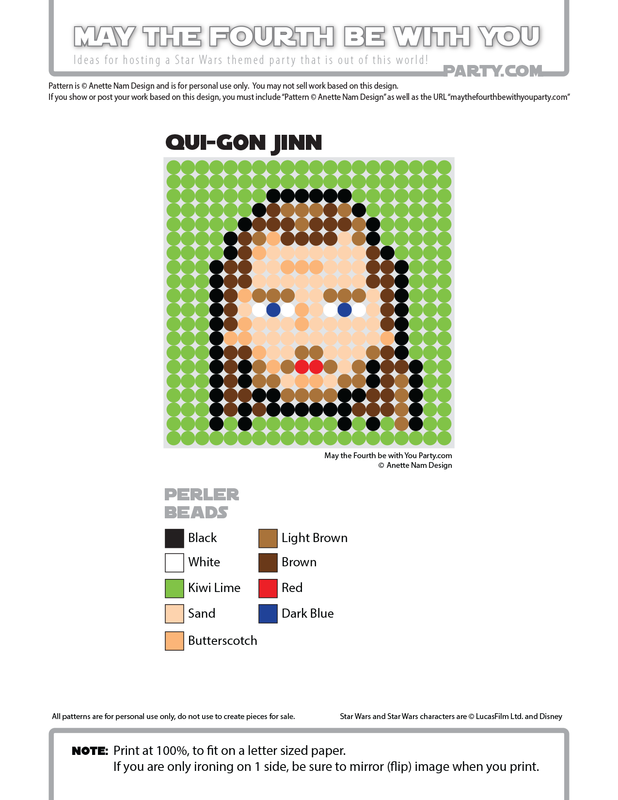 So today we have Qui-Gon as our #53 in the Perler bead/cross stitch/crochet/knitting/Lego/pixel/mosaic pattern series. Brilliant post (as always)! My dad who is a sous chef in the Shelbourne hotel recently made dinner for liam neeson. Thanks for the kind comment! That must have been exciting for your dad 🙂 As tough as Mr Neeson is in the movies, I always pictured him as a really nice and decent guy.